Men and women are biologically different and may sometimes have different roles, but they should have equal rights. As things stand, however, women work more yet get less formal compensation or benefits in exchange for it. The average woman in Latin America and the Caribbean works 25 hours more per month than the average man. Yet only half of women in the region are paid for or otherwise profit from their work. Work without formal pay leads to weak protection of human rights and limits civic participation. 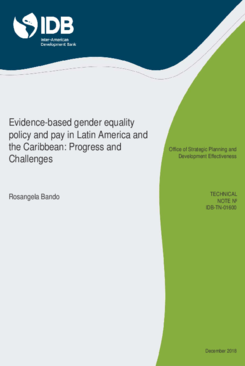 Moreover, gender inequality deters economic development and fosters income inequality.